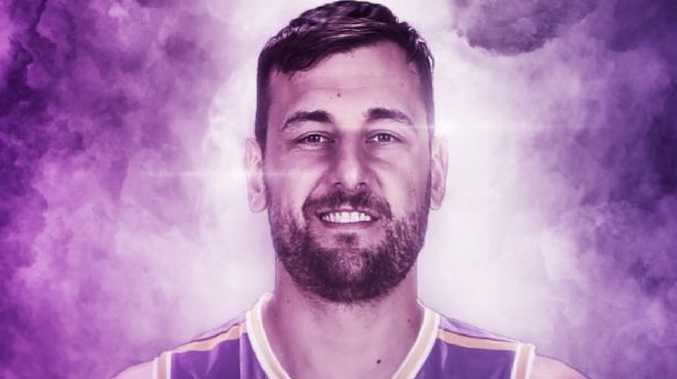 Andrew Bogut will be officially unveiled by the Sydney Kings on Tuesday. AS soon as the Sydney Kings announced Andrew Bogut would be joining the team, there was an interesting reaction. Ideas of how the Australian centre would fit in on the court, with the likes of Jerome Randle and Kevin Lisch, were seemingly an afterthought. Instead, the sentimental and symbolic value of Bogut's decision to sign with an NBL team was the hot topic of discussion. It's easy to see why. 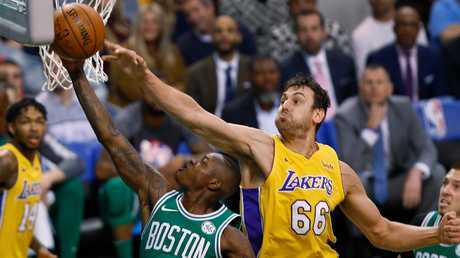 Bogut is Australia's most accomplished male basketball player who, by all accounts, could have returned to the NBA but instead chose to play in Australia's professional league. Andrew Bogut in action for the Milwaukee Bucks in 2009. He was a No.1 overall pick, and played a key role in the Golden State Warriors' recent NBA title. For a player of that calibre - with such an important place in the history of Australian basketball - to join the Kings is unbelievable and may be the most significant development in the league's history. That's the reason most people are quick to look past what a potential Randle-Bogut high pick-and-roll looks like, and instead focus on what this signing could mean for the future of the NBL. COULD WE SEE MORE NBA STARS RETURN? If all goes to plan, we'll see Bogut in a Kings uniform for the 2018-19 NBL season. In a few years, could that person be a Joe Ingles, or Aron Baynes, or Patty Mills? For someone of Bogut's calibre to risk - for lack of a better word - his legacy, or a chance to immediately return to an NBA team, is no small decision. It's to abandon playing in the best league in the world, among your most talented compatriots. The NBA was a league where Bogut was truly dominant, at one point in his career, and he was the first Australian to really hold that mantle. We'd seen players be key contributors in the league, but Bogut was a No.1 overall pick, and widely regarded at one time as one of the best defensive players in the league. That's where his influence could come into play. If someone of Bogut's stature is willing to sign with an NBL team, whether or not he's finishing his career in the league - and notwithstanding the personal reasons that accompanied the decision - then it effectively opens the door for others to do the same. There's a lot that may be contingent on that potential after-effect - whether the big-man's stint is successful will be an important factor - but this decision acts as permission, of sorts. It's Bogut saying 'yes, it's okay to head to the NBL when you're on the back-end of your career'. This is an implicit message to the rest of the Australians in the NBA, whether Bogut meant it or not. The NBL announced an interesting concept in March. The 'Next Stars' program was a development program, creating by the league as a potential alternative to college. 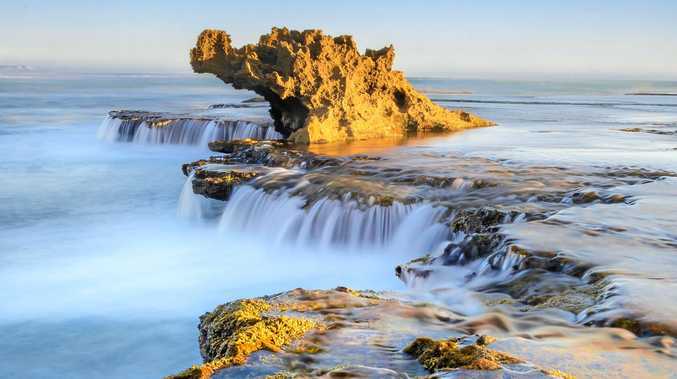 The hope was that it would attract some of the United States' best high school basketball players, who could play in the NBL, with incentives, before declaring for the NBA Draft. Over the past few months, NBL chief executive Jeremy Loeliger has been in the U.S. looking for athletes who could potentially join that program. The last word out of that search was that it wasn't unsuccessful, but still not as fruitful as he would've liked it to be. Last week, Loeliger could've pointed to the likes of Terrance Ferguson, who spent a year in the NBL before being a first-round pick, or Torrey Craig, who was a star in the league before earning a two-way deal with the Denver Nuggets. Now, they can point to Andrew Bogut. While Bogut's name may not resonate completely with the youth of the U.S., it's easy to remind people that the centre played a key role in the Golden State Warriors' 2015 title run, and put together several dominant years in Milwaukee. Again, it's a perception thing, but it could be important. For players who could potentially join the 'Next Stars' program, but feel hesitant about joining a league they perhaps have heard nothing about, playing with or against a player of Bogut's calibre could play a role in convincing them to come to Australia. The program had been in the works for some time, before it was announced, and the NBL's addition of Bogut may be the catalyst it needed to truly get it off the ground. One of the harsh (and annoying) realities that still exists is how the NBL is perceived among the general sporting public. While the popularity and standing of the league is growing, and has been for the past few years, there's still a perception, from both your average sports fan and among junior basketball players in Australia, that it's not a good league. Granted, that opinion often arises from people who haven't consistently watched the league, or witnessed the talent that exists in it, but it's the way a lot of people see it; particularly in larger, metropolitan cities, where the NBA is king. Apart from Ben Simmons, Bogut is arguably Australia's most recognisable name in NBA basketball, and it's difficult to put into words just how much it means for a sports fan that hasn't seen much NBL action, to see Bogut sign with the Kings. Outside of North America, Australia's love-affair with the NBA leads the globe, and there's no reason that a part of that couldn't translate to the NBL. Bogut could be the 'in' for a lot of basketball fans in Australia - and there's a lot - to get around Larry Kestelman's league. As much as there's a, sort of, shallow reasoning to that point, if Bogut is a door into NBL fandom, then so be it. People tuning in to see Bogut play NBL basketball would then get to witness Jerome Randle's brilliance, Damian Martin's defensive annoyance, Chris Goulding's swagger, and Mitch Creek's power. Bogut alone could get people into stadiums, and a host of others to watch at home. There's also no question the addition of the NBA champion will help in the NBL's quest to secure a new broadcast deal. So, if people weren't too aware of what NBL basketball was all about, now they may end up learning. Who knows how Jeff Van Groningen got Bogut to sign on the dotted line - it's a signing he should be lauded for, at this point in time - but that's neither here nor there. All we know is that Bogut has the potential to impact the league in more ways than what meets the eye, and that's a good thing.